If your wondering about the spelling of our company name, the spelling is accurate. We spell the name a little different because the company and the people here at AV TECKNOLOGIES are a little different. We take pride in our work and take the extra initiative needed to make your event a huge success. We enjoy what we do and it shows. Customer service is our #1 goal. Our show leads and technicians are the best in the industry at what they do. Our clients often ask for our show coordinators by name and that's the way a company should run, our staff and our clients working together on a first name basis. That is what teamwork is all about, our staff and our clients working hard to keep our relationship strong, show after show. That's what really makes the difference. We work hard to provide a flawless event with every client were involved with. We hope you will allow us the opportunity to work with you on your next event so you can see the difference between AV TECK and all the others out their in our field. We have been working in the meeting industry for over 20 years and have worked with clients all over the country. 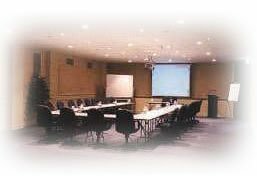 Our staff can coordinate a small 4-6 meeting room event, or a 3000 seat General session with 75 meeting rooms. We do what it takes to make our client's event run seamlessly no matter how large or small the event is. If your looking for an Audio Visual Company that cares as much as you do about your events, then you need to give us a call.